Fifty-seven percent of American adults are surprised when they receive their medical bills, finds a new survey. The public holds insurers and hospitals most accountable when they receive an unexpected charge. Among those surveyed who indicated that they had been surprised by medical bills in the past, the charges were most often for physician services (53%) followed closely by laboratory tests (51%). Other common sources of surprise bills were hospitals or other healthcare facility charges (43%), imaging (35%), and prescription drugs (29%). "Most Americans have been surprised by medical bills that they expected would be covered by their insurance," said Caroline Pearson, a senior fellow at NORC at the University of Chicago. "This suggests that consumers may have difficulty understanding their insurance benefits or knowing which providers are included in their plan's network." When asked which groups are most responsible for surprise medical bills, 86% of respondents said insurance companies are "very" or "somewhat" responsible, while 82% said hospitals were "very" or "somewhat" responsible. Respondents were less likely to hold their doctors responsible, with 71% saying doctors are "very" or "somewhat" responsible for surprise bills. "While consumers report that physician services are the most common source of their surprise bills, they are most likely to blame insurers for those bills," said Michelle Strollo, Vice President at NORC. The poll included 1,002 interviews with a nationally representative sample of Americans using the AmeriSpeak® Panel. AmeriSpeak® is NORC's probability-based panel designed to be representative of the U.S. household population. During the initial recruitment phase of the panel, randomly selected U.S. households were sampled with a known, non-zero probability of selection from the NORC National Sample Frame and then contacted by U.S. mail, email, telephone, and field interviewers (face-to-face). The panel provides sample coverage of approximately 97 percent of the U.S. household population. Those excluded from the sample include people with P.O. Box only addresses, some addresses not listed in the USPS Delivery Sequence File, and some newly constructed dwellings. Interviews for this survey were conducted between August 16 and August 20, 2018, with adults age 18 and older representing the 50 states and the District of Columbia. A comprehensive listing of all study questions, complete with tabulations of top-level results for each question, is available here. << Is Normal Delivery Possible After Cesarean? To prevent illegal drugs from entering the US, President Trump has signed a legislation that grants $9 million to fight trafficking of opioid analgesics. 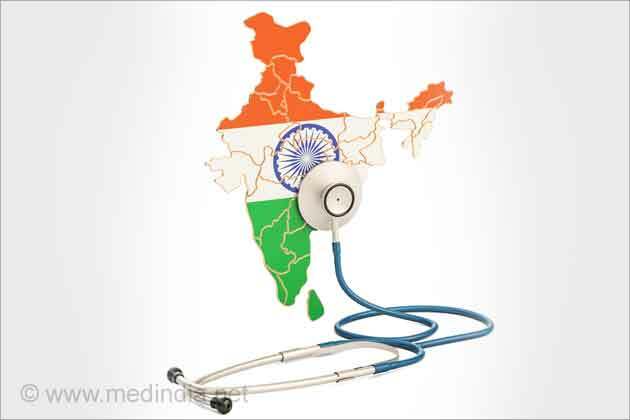 A Bill for setting up a National Medical Commission was sent to replace the Medical Council of India. Health Minister Kaul Singh introduced the bill to amend section four of the Himachal Pradesh Medicare Service Persons and Medicare Service Institutions Act of 2009. The Mental Healthcare Bill 2016 secured parliamentary approval with the Lok Sabha's assent to the legislation.